We all want to get the very best results for our valuable time that we invest in training. Having a well-designed program is an important part of this. 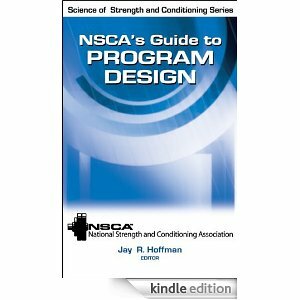 In Part 1 of this post, I listed some common program design mistakes. Here are some more mistakes to watch for. Are you making any of these? This one is so important, I should have put it in part 1. You can have the best possible selection of sets and reps, but if you pick inferior exercises, you will get inferior results. 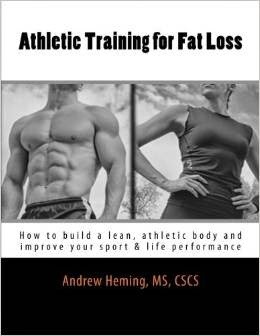 See my previous posts on Selecting the Best Exercises for Your Goals Part 1, Part 2 and Part 3 for more details. Note: see my YouTube Channel for video descriptions of these exercises. When writing training programs, you want to keep these movements in balance. For example, try to have at least one rowing movement for every chest pressing movement. Now, the exception to this is if you already have an imbalance. In that case, feel free to unbalance the program to correct the problem. For example, if you are a bench press superstar but have rounded shoulders and palms that face back instead of in when you are standing, do more rowing movements. Another huge mistake is way too much emphasis on accessory exercises. Make sure the main movements get the main focus of your program and add accessory exercises sparingly and only as needed. This is most commonly a problem in bodybuilding programs where people are doing multiple exercises per muscle group. If this is the case, try to make these exercises as different as possible. Avoid using the same implement and the same angle. For example, if you were to do 3 chest exercises, try incline barbell press, flat dumbbell press or weighted push-ups and dips or flies. Speed, power and maximal strength exercises first. Higher skilled exercises before low skill (this will improve performance on the high skilled lifts and reduce your risk of injury). Priorities early in the program (e.g. I have had a lot of students tell me their goal is to improve pull-up performance and then stick pull-ups near the end of their routine). If it is really important, do it first! Most people do what I call "standard training order". They do all the sets of their first exercise and then do the same thing with each of the rest of their exercises. This is fine, but it is not very time efficient. Many upper body exercises can be paired with exercises for opposite muscle groups. For example, instead of doing bench press with a 90-120 second rest interval, you could do a set of bench press, rest 30-60 seconds, do a set of rows, rest 30-60 seconds and repeat for the desired number of sets. Pairing upper and lower body exercises is not only great for time-efficiency, but also for increasing EPOC for fat loss. You can also use circuits which are very time efficient. The most popular set and rep combination is 3 sets of 10 reps. This is fine for some goals, but there are many other set and rep combinations that can be helpful in reaching your goals. Also, if this is what you have been doing since you started training, a change in these variables will spark some new progress. Make sure you goals - not tradition - are dictating your set and rep selections. I'll have to expand on this more in future posts. For more information on picking the right reps, see this post on Selecting Rep Ranges. Of all the mistakes I have made over the years writing programs, this is the one I struggle with the most. I love learning and try to write the most complete programs possible. Often I make the mistake of trying to pack too much stuff into a training program. Remember that program design (like many things in life) is saying "no" to good things so you can say "yes" to the best and most important things. The late famous Canadian sprint coach Charlie Francis had a great saying, "if in doubt, leave it out." Let your goals dictate your training. The ideal training time for most people is about 1 hour. Another mistake I have made is writing up a training program that would take 2 hours to do and then telling a client to get it done in an hour. When you are new to writing programs, try this tip I learned for elite trainer Alwyn Cosgrove: calculate the time of everything. Figure out how long it will take to do the set (based on rep speed and the number of reps) and multiply that by the number of sets. Add rest intervals in and multiply that by the total number of exercises. Do the math and see if the program will actually work in an hour. While some change is necessary past the beginning stage, many people have too much variety in their training program. Success is about picking the best exercises for your goals and body and getting better at them - not constantly switching things up - more on this in a future post. I tell my students that I should be able to look at your program and ask you anything about it (e.g. why this exercise? Why this many sets/reps?, etc) and they should have a specific reason for selecting that particular training variable. When writing a program, think through each and every variable and have a reason for everything that you do. Well, I hope that helps you learn the easy way and write better, more effective programs!